Legumes are among the earliest of cultivated plants. The Fossil record suggests that even before written records human beings were deliberately growing them for food. There are around 13,000 species of legumes including popular lentils and chickpeas but here we will be concentrating on two species that you arc most likely to grow; peas and green beans. In general, legumes are a very healthy Food and one that gives back to your garden. They are a wonderful ‘'Fallow” crop to grow as they give nitrogen back to your soil. As Far as your health goes legumes lower cholesterol, improve blood glucose control, and have many heart protective properties. 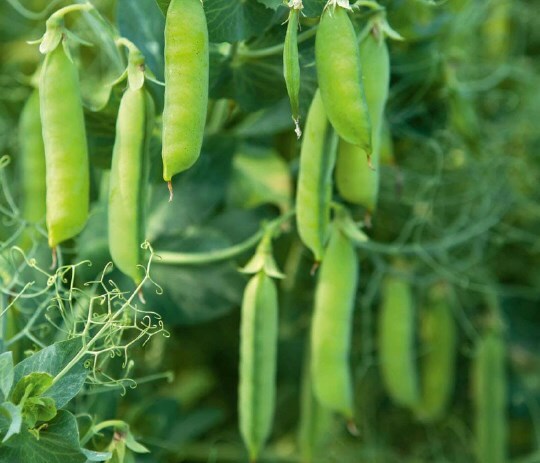 The modern garden pea is thought to have originated from the Field pea that was native to central as a and the Middle East Centuries of cultivation and selection for certain characteristics have resulted n the pea that we know and love today. Since t$ cultivation dates back thousands of years, the pea is widely regarded as one of the first food crops to be cultivated by humans Peas were apparently consumed in dry form throughout much of their early history, and did not become widely popular as a fresh food until changes in cultivation led in cues that took place in Europe in the 16th century. Green beans and or her beans, such as kidney beans, navy beans and black beans, are a I known botanically as Phaseolus vulgaris. They are all referred to as “common Jeans' because they all derived from a common bean ancestor that originated in Peru. From there they spread throughout South and Central America and then were introduced to Europe around the 16th century by Spanish explorers returning from their voyages to the New World. In your garden if you can make them work for you, you will never regret having legumes on hand. Both peas and beans contain protein. B vitamins, iron, calcium, zinc, magnesium, and they are high insoluble fiber. Iegumes have a low glycaemic index (Gl) meaning that they are broken down more slowly so you feel Fuller for longer making them a particularly good food for preventing and managing diabetes. One study (Archives of Internal Medicine) has emphasized the benefit of legumes .n diabetes by showing that legumes have a favorable effect on a blood sugar measure known as HbA1c. HbA1c is a molecule used to measure what has been happening will 1 your blood sugar levels over the past Few months. I n your blood are red blood cells that include the molecule haemoglobin. Glucose sticks to the haemogoblin to make a "glycosylated haemoglobin' molecule, called haemoglobin A1C or HbA1c The more glucose n the blood, the more HbA‘c will be present in the brood. Roc cells live for 8-12 weeks before they are replaced so by measuring HbAlc you can tell you how high you' blood glucose has been on average over the last 8-12 weeks. A normal non-diabetic HbA1C is less than57 percent, pre-diabetes is 5 7 per cent to6.4 percent, and diabetes is 6.5 per cent or higher. In this new study patients with type 2 diabetes were put into one of two groups. One group were for three months. The other group was asked to eat more insduble Fiber like wholegrain wheat for three months. At the end of the three months 11bAlc values in the legume group had cropped by an average O.5 per cent and n the insoluble fiber group by an average 0.3 per cent Blood pressure aIso dropped much more in the legume group. The researchers said that these results emphasise the importance of reintroducing legumes into the Western diet. A lot of the positive publicity these days goes to "rainbow” colored foods because we now know that the pigments that give plants their yellow, orange, red and purple colors are also very healthy antioxidants. So the humble green bean has been left in the multi-hued shade, but you make a mistake if you underestimate the green bean. Studies have confirmed the presence of lutein. beta-carotene, volaxanthin and neoxanthin in green beans. In some cases, the presence of these carotenoids in green beans is comparable to their presence in other antioxidant-rich vegetables like carrots and tomatoes. 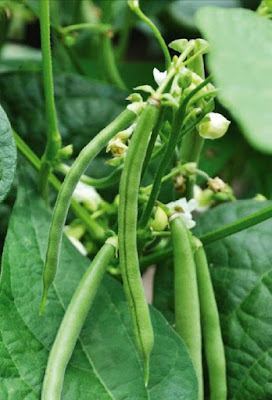 The reason green beans are not a showy yellow or red is due to the high levels of chlorophyll they contain which gives the deep green color we love. The great news is that chlorophyll itself is a very healthy, cleansing nutrient so with beans you get antioxidant protection plus chlorophyll cleansing (if that doesn’t sound too much like a laundry powder commercial). You would expect the antioxidant actions of beans to provide you with some direct heart benefits Animal studies do show that beans lead to improvement in levels of blood fat and better protection of these fats from oxygen damage. It is the green bean pod (the main portion of tire green beans that you eat. which provides the covering for the beans inside) that appears to be more closely related to these cardio benefits than the young, immature beans that are found inside. The strong carotenoid and flavonoid content of green beans also appears to yield some anti- inflammatory effects. Some research shows decreased activity of certain inflammatory enzymes after taking bean extracts. This may be partly why beans are effective n type 2 diabetes because a component of the onset of this disease is chronic inflammation. Like beans, green peas are loaded with antioxidants and anti-inflammatory nutrients, and these health-supportive nutrients are provided in a wide range of nutrient categories, in fact one of these nutrients may surprise you because peas are a good source of omega-3 Fatty acids. Peas area reliable source of omega-3 fat in the fomofabha-linolenicacid. 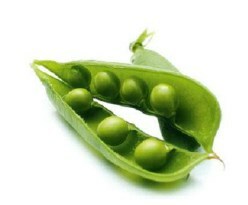 or ALA. One cup of green peas provides you approximately 30 milligrams of ALA. It needs to be said that ALA still needs to be converted in your bocy to the forms that your body can use (eicosapentaenoic acid—EPA, and docosliexaenoicacid—DHA). Both FPA and DHA are supplied in their finished form by fish oil which is why it is such a good source of omega-3. In plants though you most often get ALA and this requires conversion by an enzyme to yield EPA and DHA. If you are deficient in this enzyme for whatever reason conversion won’t happen, but for most people the ALA in peas will offer many of the benefits that omega-3 fats offer. That means reduced inflammation and improved blood low all good news for your heart. The additional good heart news is peas are a good soiree of vitamin B1. Folate. vitamin B2. vitamin B3. and vitamin B6. These B vitamins lower levels of an amino acid called homocysteine that has been shown to damage arteries end allow attachment of cholesterol plaques. Add the fact that they are a good fiber source and peas are a very good heart Food. If we are going to talk legumes then we just have to talk flatulence. Most humans pass gas around 14 times every day with the total amount of gas passed being around half a liter. If you are going to increase your legume intake that amount will almost certainly rise, at least initially. This is because legumes contain oligosaccharides that are broken down by bacteria in your gut and a by-product of this is gas. The thing is, the bacteria that do this are the good bacteria that you want to have in you' digestive tract. In time, as you consume legumes regularly, the gas produced by bacterial breakdown of the oligosaccharides will reduce. Given that legumes arc healthy Foods and that the bacteria that act on them to produce gas are also healthy, you've just got to love that flatulence that results. It is always best to eat your produce Freshly picked if you can. However, you might have a bumper crop and want to store some of your peas and beans For later use. IF you do the best idea is to steam them for just three minutes and then pop them into the freezer. All fruits and vegetables contain enzymes and bacteria that will breakdown the nutrients and alter the flavor and texture of Food during Frozen storage. The evidence is that Freezing does a pretty good job of keeping the nutrients in beans and peas intact although the levels do decrease with time, so try to eat your produce within three months of picking. In some places and publications, legumes have been dubbed “poor man’s meat”, this is because they are a good source of protein. It is not the complete amino acid profile that you find in meat but legume protein does contain many of the amino acids that humans need. However, for optimal utilization the amino acids in legumes need to be combined with the missing amino acids From another food (protein combining). In the case of legumes, grains are a good companion food and the classic dish from a protein combining view is beans on whole meal toast. The availability and health benefits of legumes mean that perhaps it would be better to call them “any person’s meat" or, even better still, given the sustainability issues around meat production, maybe meat should be called “poor person's legume”. If you grow the same crop in a piece of your garden year after year then you increase the chances of pests becoming entrenched and of damaging the soil. You can leave the soil Fallow for a growing season but that increases chances of erosion which is where your legumes come in. Growing your peas or beans in a patch of garden means that you are actually enhancing the nitrogen levels in that soil because that is what legumes do: give nitrogen back. You also get the bonus of a delicious legume harvest knowing that you have replenished your soil ready for your next crop into the bargain. Many studies have shown that legumes enrich a soil however, as one article in the Agronomy Journal that reported on trials in Uganda found, if you let soil become too degraded it might be a couple of planting cycles before legumes can work their restorative powers. So make legumes a part of your organic garden crop rotation from year one. When to plant: Plant pea seeds in the ground when conditions are cooler, so winter and spring in cool frost-free conditions; and winter in warmer, subtropical zones. Temperatures ever 25°C reduce flowering. Plant seeds every three weeks for successive crops. Plant beans in spring, summer and autumn in cooler temperate areas, and all year except summer in warm northern areas. If it’s too hot at flowering time, it may stop pods forming. 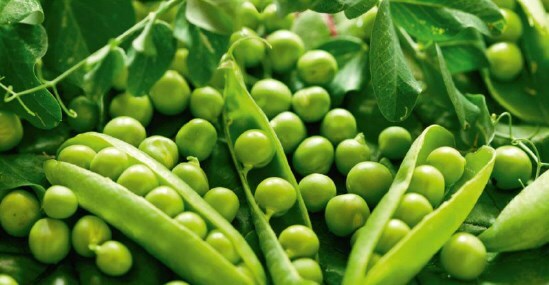 Climate: Peas grow better in cool, frost-free regions; not the tropics. Beans grow in most climates, just time planting according to variety. Specific needs: Plant peas in well-drained soil, prepared with chook manure and some added lime. Prepare rows or trenches about 5cm deep and about 10cm apart. Leave about 45cm between each row. Usually need some support, but particularly the taller growing varieties. Protect seedlings from birds with covers of netting or black cotton. Keep well-watered once seeds have sprouted. Try growing in pots. Peas and beans can help fix nitrogen into the soil. Use as a green manure crop. Dwarf or bush bean varieties don't usually need supporting, but climbers will need a trellis or supporting structure. Plant directly either side about 25mm 30mm deep and at least 100mm apart. Keep well watered and add some liquid potash before flowering to ensure good pod set. Harvesting: Peas are ready about 11 weeks from sowing. Continue picking once pods have formed. Shoots, pods and peas are edible. Once crop is finished, cut stems at the base for the compost heap or dig back into the soil. Bean crops are ready to harvest in about 8-10 weeks from sowing. Young, tender beans that snap easily when bent are the yummiest. Keep picking once pods form or they stop producing.